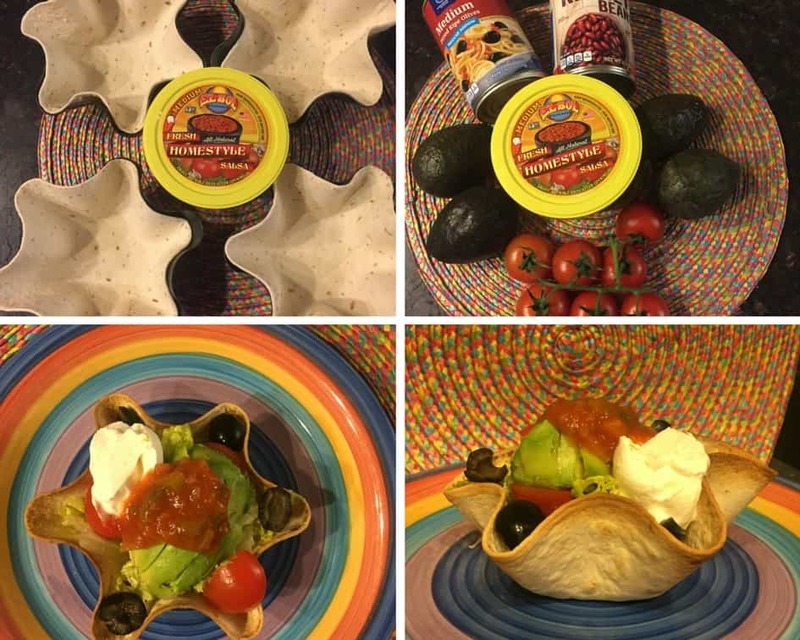 4 Norpro® Tortilla Bowl Makers Suggested Items to put in your bowl: Shredded Cheese Avocado Lettuce Olives Beans Tomatoes Corn Sour Cream Top it off with more El Sol Salsa Directions: Cook the ground beef and drain the grease. Mix in the entire container of El Sol Medium Salsa and let simmer on low. The salsa has all the flavor you need. Preheat oven to 425 degrees. Add tortillas to the bowl makers and bake for ten minutes. Once they are done, add the meat to the bottom of the bowl and then put in your favorite ingredients into the bowl.